W.A.G.E. 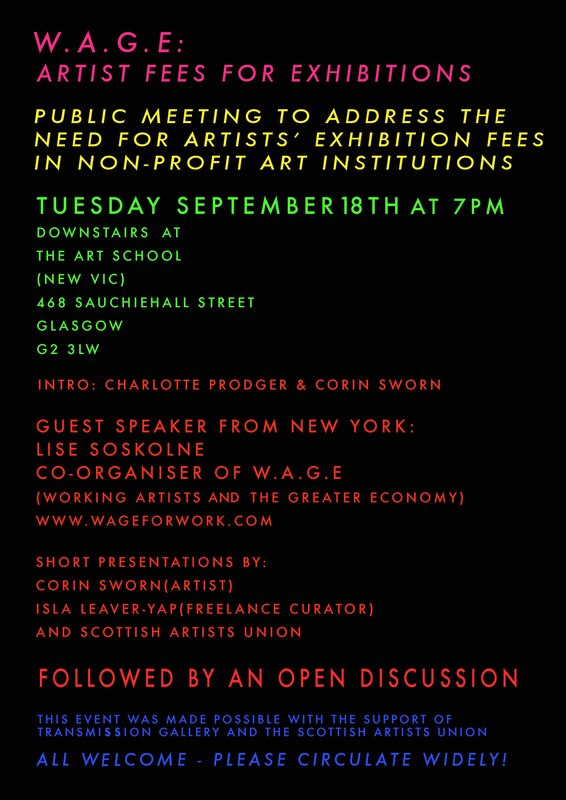 (Working Artists for the Greater Economy) are speaking at a public meeting at The Art School (New Vic) 468 Sauchiehall Street, Glasgow, at 7pm on 18 September on their ‘exhibition fees’ campaign. There will be an introduction by Charlotte Prodger and Corin Sworn and an open discussion. This event has been organised by Transmission and the Scottish Artists Union.